Hot off the back of their impressive new single 'Butter', Triple One are excited to announce sold out tour dates and added shows across their East Coast single tour. The band will return for a second night at the Black Bear Lodge in Brisbane and play the Howler in Melbourne and the Oxford Art Factory in Sydney. See the full tour dates and ticket info below. Joining Triple One in Brisbane are Hoodzy, the 16 y/o emcee from the Gold Coast who recently dropped her single 'Young Girl Steez' and Dameeeela who has played alongside ASAP Rocky, Rae Sremmurd and Yaeji. On the Melbourne leg are the eclectic Melbourne crew 3K who most recently shared their OPENFORBUSINESS EP in 2018 and SAL, the brains behind Low Ton, who blends left-field club music with hip-hop. Supporting the Sydney shows are Kobie Dee x Nooky, two of Australia's most important indigenous storytellers and Caroline Gasolina, a regular on FBi Radio who has supported the likes of Tasman Keith and RL Grime. Described as a "sad-boy banger", 'Butter' continues to impress audiences with their versatility and stands out as a confident, thought-provoking and fresh perspective on mental health in the format of contemporary rap hit and continues to sets them apart as one of the fiercest, leading groups in Australian hip-hop, with only the best of the best on the supporting roster. Blacktown rapper and emcee LIL SPACELY today shares his new single ‘OH NO!’, listen HERE. The 25-year-old emcee and producer’s story is one of grit, determination and a whole lot of hustle. Atlanta and London might influence his sound, but Spacely’s stories are rooted in Western Sydney. Spacely wants to use his music to talk about the highs and lows of life in his neighbourhood, sharing the perspective he’s gained from making mistakes but growing from them. Because his own path hasn’t been without hurdles: teen years spent with “too much time on his hands and not enough guidance” saw Spacely run into trouble. As a teenager, he taught himself to write, record and mix tracks between his bedroom and a music studio in a Blacktown community centre. Spacely began putting his raps up on SoundCloud and quickly caught the ear of Melbourne label WVS, who released his first official single ‘You Know It’ in 2017. From there, it wasn’t long before he started turning heads. 2017 also saw Spacely drop the anthemic ‘Dopeboy ft. Big Skeez’ and return the next year with the heaters ‘#Code’ and ‘Don’t Approach’, the latter of which was premiered by Zane Lowe on his Apple Beats 1 show. Some of his rhymes were written candidly about his life and emotions, others were delivered on the fly in the studio and drip with bravado. Things have moved just as fast on the live front. Already, Spacely’s played at FOMO Festival alongside Post Malone and SZA, shared a Listen Out line-up with A$AP Rocky and Skepta, and been picked for shows curated by the tastemakers at Red Bull Music. 2018 also saw Spacely collaborate with Manu Crooks and B Wise on ‘Best Years’, the hit track that’s amassed over 1.8 million streams on Spotify. His music has also played on MTV Australia, scored airplay on triple j, been supported by Briggs on his Beats 1 show and featured heavily in Spotify’s curated hip-hop playlists. The hot streak is set to continue in 2019 with ‘OH NO’, the first release in what’s poised to be a star-making year. Lil Spacely will celebrate the release with a Sydney event this April 27 at Waywards alongside BadboySwiss, Kymie, Big Skeez and Elijah Yo. Buy tickets here. 'Oh No' is out now, buy/stream it here. 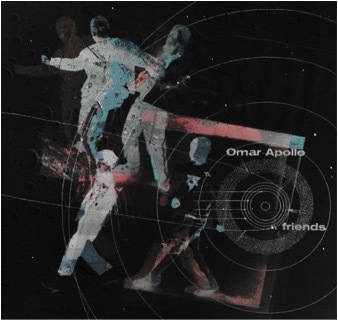 Today, Omar Apollo releases his Friends EP, listen to it HERE. Friends showcases the seamless versatility he carved out on previously-released singles 'Friends','Ashamed' and 'Trouble', culminating in a vibrant and thoughtful body of work. On the project, the first-generation Mexican-American singer fluidly channels elements of jazz, R&B, funk, alternative, soul and pop music through his own lens, cementing his stance as one of 2019's breakout stars. After introducing himself in 2018 with his critically-acclaimed debut EP Stereo, Omar has continued to ascend as an undeniable talent to watch. Pitchfork recently featuring him as a Rising artist and Youtube announcing him as part of this year's Foundry international artist development program, with past alumni including Cuco, ROSALÍA, Gunna, Chloe X Halle, and Dua Lipa. Omar will also be embarking on a run of European tour dates that will follow his US tour and arrive ahead of a performance at Lollapalooza this Summer. Despite having to cancel a few shows due to illness, the US tour kicked off with a stellar performance at SXSW's FADER Fort, where Omar fought through the flu to emerge as one of the most talked-about artists at the festival. On this run, he will play 32 dates across the continent before concluding in Philadelphia on June 1, with support from ROLE MODEL and Ambar Lucid on select dates. Hear 'Friends' now, see full tour dates here and stay tuned for more from Omar Apollo coming soon. Out now, buy/stream it here. Stay connected with Omar Apollo. Pip Blom today shares her new single 'Ruby', taken off her forthcoming debut album BOAT out on May 31 via Heavenly Recordings (Hatchie, Confidence Man, King Gizzard & The Lizard Wizard). Listen here, watch it here. The single follows the release of album-opener ‘Daddy Issues’, which recently landed on BBC 6 Music’s A-List and saw the band play a sold-out Annie Mac Presents show at the Shacklewell Arms on the 29th March. 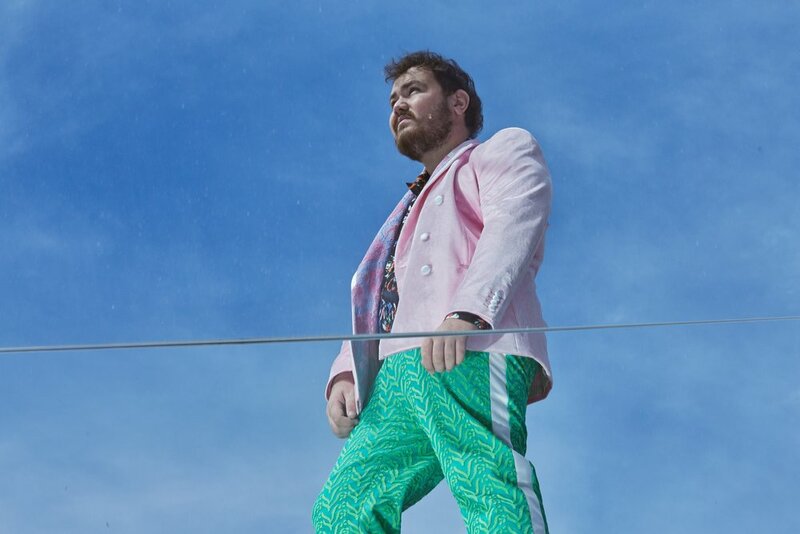 Speaking on the video, director Raymond van Mil explains, "We made a few jumps in our imagination, and we were explicitly not trying to explain or illustrate the lyrics. We started with flamingos. Apparently there are two distinct families standing some 20 meters apart on one exact place in Zeeland/the Netherlands. We went there and were in amazement, it looked so alien in the Dutch landscape. From there the ufo story unfolded and was fun. Was it a dream? A memory? A documentary? Only Pip knows." The release of 'Ruby' comes after a busy 2018 for Pip and band, that saw the release of her frenetic EP Paycheck, two A-Listed singles at 6 Music and support slots to the likes of The Breeders, Franz Ferdinand and Garbage – as well as signing to Heavenly Recordings. Pip Blom are: Pip Blom (vocals, guitar), Tender Blom (vocals, guitar), Darek Mercks (bass), Gini Cameron (drums). 'Ruby' appears on Pip Blom's debut album and is available now. Boat Is out May 31 via Heavenly Records, pre-order the album here. BODY TYPE today share their new single and video for ‘Free To Air’ taken off their forthcoming release EP2 out via Partisan Records / Inertia Music this May 3. Listen here, watch the video shot, directed and edited by Matthew Griffin below. ‘Free To Air’ follows ‘Stingray’, the first track taken from the band’s upcoming release EP2. This is the bands second release following their self-titled debut EP in late in 2018. Consisting of radio favourites ‘Ludlow (Do You Believe In Karma? )’, ‘Arrow’, ‘Palms’ and 'Teeth', the release received critical acclaim from the likes of the FADER, DIY Mag, NME, KEXP, Beats 1's Matt Wilkinson, BBC Radio 1's Jack Saunders, FBi Radio, Double J, triple j's Declan Byrne and more. Body Type head to the UK and Europe for a run of headline shows and festival plays including Live At Leeds Festival (Leeds), Hit The North Festival (Newcastle), The Great Escape in Brighton and London Calling in Amsterdam. See full dates and details below. Along with the digital release of the EP, the band will be selling double-sided 12" vinyls, including the Body Type EP and EP2 for the first time. Pre-order it here. 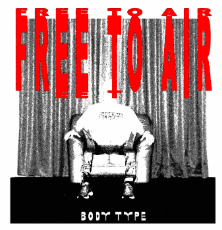 'Free To Air' is out now, buy/steam it here. EP2 is out May 3 via Partisan Records / Inertia Music, pre-save it here. All artwork by Annabel Blackman. "Sydney-based band Body Type make melodic garage rock with effortlessly cool vocals and guitars that will make you wish the summer could last forever"
"Their self-titled EP is really a masterclass in lines that creep up on you and resonate." "This effortlessly cool Sydney quartet offer everything we want from indie-rock in 2019: lush guitar melodies, a willingness to mix things up, and a readiness to sing about feelings with feeling." In the midst of a worldwide tour, Noname is sharing a new song. 'Song 32' aptly follows single 'Song 31' and her critically-acclaimed full-length, Room 25, which debuted in September. With production by frequent collaborator Phoelix, the track continues a successful run for Noname following the release of her first music video for 'Blaxploitation' a performance of 'Ace' with Smino and Saba on The Tonight Show, and a headlining U.S. tour that took her across North America for 37 dates. In early December, Noname was also prominently featured in the December issue of Rolling Stone, available online now. Around the release of the album, the very private artist opened up for her most personal interview to date in a conversation with The FADER for the Fall Fashion issue. 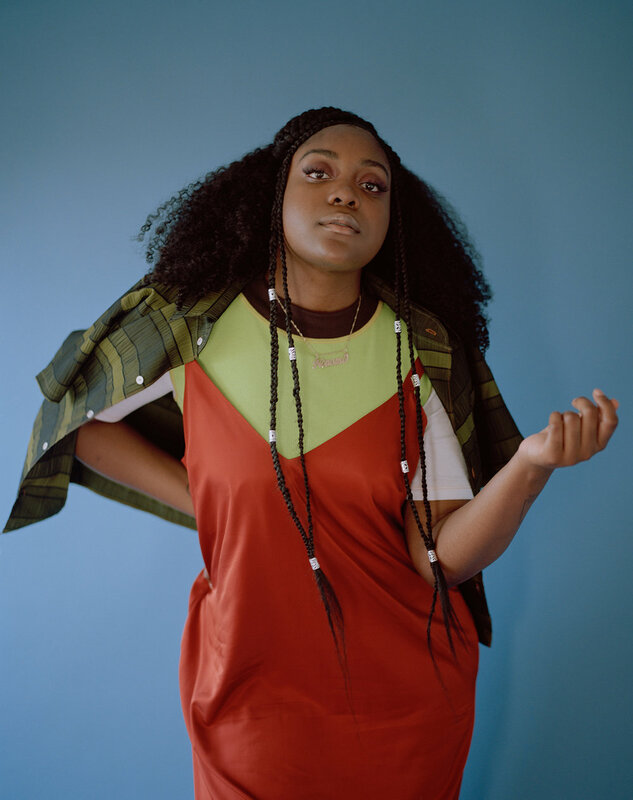 Following the album's release, Noname performed a captivating three-song melody on The Late Show with Stephen Colbert. 'Song 32' is out now, buy/stream it here. Room 25 is out now, buy/stream it now. "It's some of the year's most thought-provoking hip-hop"
"Noname is one of the best rapper alive"
"she's effervescent, open and honest"
Introducing Saint Lane, the 23-year old NZ-born, Gold-Coast based rapper with his new single and video for ‘Compliment My Shirt’. Listen here, watch here. Saint Lane's life on earth has been anything but a blessing. Born to Fijian and French parents on the streets of Auckland, Lane was raised in and out of cheap motels and homelessness. At the age of 17, his only form of normality - his family - would implode as his parents’ strained relationship collapsed. With no money, no car and a family in turmoil, Lane turned to dealing drugs in a last resort attempt to put food on the table. Lane’s teenage years would be a dark time - he took inspiration from music, art and figures like Kanye West, Donald Glover, Basquiat and Christopher Nolan, to help construct his own sense of originality and drift his consciousness away from his troubled surroundings. He later turned to his own poetry, exploring the racial implications of a mixed family, senseless violence and surviving on the streets. 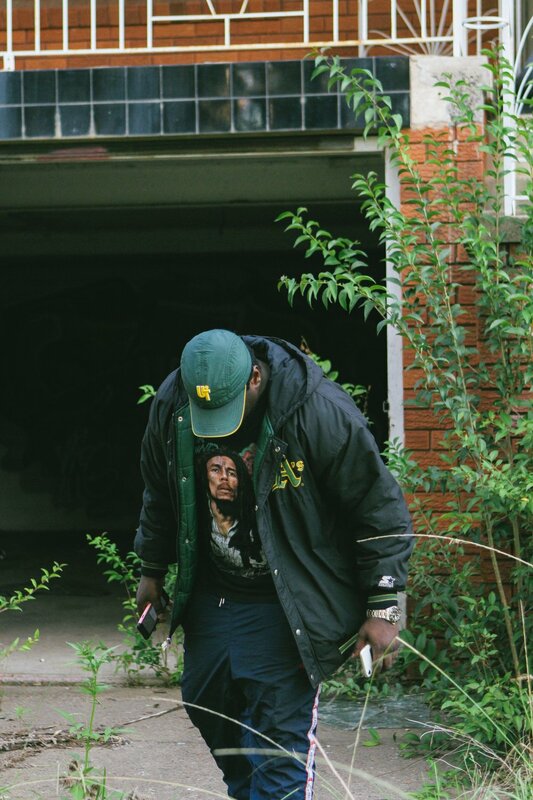 His first offering came in the form of the demo ‘Zip Code’, the first taste of the Saint Lane story. With no previous releases under his belt, the track was playlisted on triple j unearthed, hit #4 on Hype Machine's Popular Charts, landed on Rap Nation's YouTube channel and received a stack of glowing reviews from the likes of triple j's Declan Byrne, Bridget Hustwaite and Dave Ruby Howe. The artwork for 'Compliment My Shirt' comes from photographer and creative director, Jory Lee Cordy (Ty Dolla $ign, Billie Ellish, Lupe Fiasco). Shot in New Orleans on a recent trip, the collaboration was born naturally out of a mutual love of one others work. Most recently, Saint Lane has worked with the likes of Andrew Dawson (producer, composer and engineer mixer on for Kanye West’s Late Registration, Graduation, My Beautiful Dark Twisted Fantasy + more), Mike Malchicoff (Engineer, Mixer, Producer on Kanye West’s Life of Pablo and Kids See Ghosts’ Kids See Ghosts + composer for Mark Ronson, King Princess and Hobo Johnson) and film director Anthony Sylvester (behind music videos from the likes of Channel Tres, GODMODE and more). Stay tuned for more from Saint Lane in 2019. ‘Compliment My Shirt’ is out now via Risqué, buy/stream it here. Artwork by Jory Lee Cordy (creative director behind Nicki Minaj, Ty Dolla $ign + more). Today, Omar Apollo is sharing a new single 'Friends', listen to it here. The track follows his previously-released tracks 'Ashamed' and 'Trouble' as the latest offering of new music from Omar in what is sure to be a breakout 2019 for the first-generation Mexican-American singer. The new track finds Omar showing another side of himself, slowing the tempo to a sweet standstill as he sings tenderly of the restlessness of being young and the disconnect between him and the one he loves. Along with the single, Omar is announcing his new EP, Friends, will arrive on April 10. The highly-anticipated new project exudes the diverse array of influences that sets Omar apart, as he fluidly channels elements of jazz, R&B, funk, alternative, soul and pop music through his own lens. After introducing himself in 2018 with his critically-acclaimed debut EP Stereo, Omar has continued to ascend as an undeniable talent to watch, with Pitchfork recently featuring him as a Rising artist. "A triple threat of an artist with plenty to offer"
"Apollo's music can fit into a lot of different boxes but the DIY spirit is an essential element in his vibe"
"The 20-year-old Mexican-American artist's searing falsetto will hit you right in the breakup feels"
Introducing GRID Series (Grass Roots Indie Development), an artist development program supporting emerging musicians around Australia and strengthening communities through music. 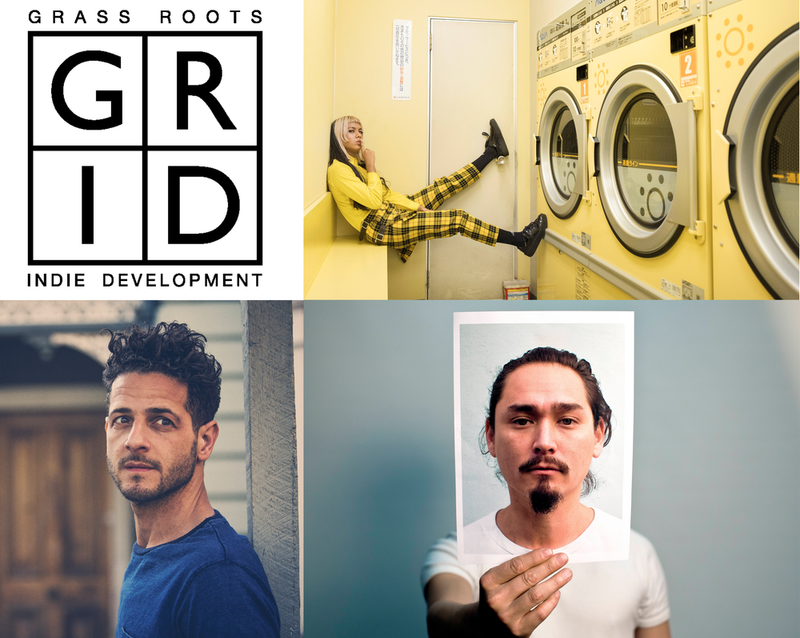 Whilst self-releasing as an independent artist has never been easier, the GRID Series seeks to focus on lending support and resources to outer-suburban artists with limited access to studios, producers, industry knowledge and assists them in navigating wider networks of contacts and peers. Developed back in 2013 in outer-suburban Melbourne, the GRID Series program has expanded to Sydney, Brisbane, Perth and is returning to Melbourne in 2019. Working with eight artists, the GRID Deep West program will include a weekend of one-on-one mentoring with music industry professionals, a song development session with an established songwriter, a fully produced track recorded at Box Hill Institute’s newly opened Sing Sing East studios, a live video to be used as content to promote their new release and a single launch showcase to round out the program. Hot off the back of the Western Sydney program this last month, GRID Series returns in Melbourne in 2019 for the first of its two programs. GRID Deep West, supported by Creative Victoria, APRA AMCOS, American Express Music Backers, Wyndham City Council and Box Hill Institute, is setting their sights on the Wyndham Area in outer suburban Melbourne working with eight artists from the area to support them with their music career and further their contribution to an already thriving music community west of the city with new opportunities to create content networks and foster community. Having focused previously on the Outer South East of the city, the series now plan to extend their reach and confront the barriers to creativity and access to contacts head on. On board are award winning songwriters, Ecca Vandal, Lior and Joel Ma, industry heavyweights Dave Morgan (Tash Sultana, Maddy Jane, Riley Pierce) and Vader Fame and producers Anna Laverty(Courtney Barnett, Paul Dempsey, Peep Tempel, Ruby Boots), Oscar Dawson (Alex Lahey, Ali Barter, Busby Marou, Holy Holy) and Russell Fawcus (Slum Sociable, The Temper Trap). Past artists to have come through the program include rising hip-hop sensation Daniel Elia, deep soul band The Fabric (fronted by Angie McMahon) and South Sudanese musical legend Gordon Koang. Applications are now open until May 17 2019 for artists living, working or studying in the region. Apply here. WA-based 18 year old rapper ARNO FARAJI is delighted to share his new feel good single ‘Scalin’, produced by Milan Ring. The track was premiered on triple j's 'Good Nights' and comes off the back of a run of national shows alongside Kwame and ahead six Australian dates with Cosmo's Midnight this May. Listen to 'Scalin'' HERE. 'Scalin' follows the release of ‘things change’ and Remi & Sensible J’s track ‘Bless (What It’s Like)’ in late 2018, wrapping up a huge 24 months since nabbing the triple j Unearthed High prize in 2017. Following his win, Faraji took to the stage supporting the likes of Rejjie Snow, Smino and Tkay Maidza, as well as hitting national touring festivals including Groovin The Moo and triple j’s 2018 One Night Stand in Tasmania to 20,000 people. Making the shift from guitarist to beat-maker/rapper at an early age, Arno Faraji continues to carve his own path with his unique take on quick-witted and thoughtful raps across a future-leaning and diverse soundscape. Stay tuned for more new music from Arno Faraji in 2019. Scalin’ is out now, buy/stream it here. “Kwame, Arno Faraji and Genesis Owusu proved themselves the opposite of everything Oz hip-hop once was: vital, vibrant, and awe-inducing." Hot off the back of their impressive new single 'Butter', Triple One are excited to announce East Coast single tour dates. Hitting Sydney, Brisbane and Melbourne, the band take their notorious live show to Black Bear Lodge, Northcote Social Club and the Marrickville Bowling Club this June. See the full tour dates and ticket info below. In the two short weeks since its release, ‘Butter’ has landed playlist additions across triple j, and FBi Radio and hit over 200k stream online. The track also made Apple Music’s ‘Best of the Week’, ‘New Fire’, 'The New Australia’, and more, Spotify’s ‘New Music Friday’ in Australia & NZ, USA, North Africa, Egypt, Gulf and Levant. 'Butter' also appeared on Spotify playlists' A1 Hip Hop', 'Front Left', 'Indie Arrivals' and landed the cover of 'The Drip', as well as Google and YouTube's 'Artist To Watch 2019', 'New Lit Australia', 'Hype Hip-Hop' and 'Aussie Flows'. Triple One were also profiled by Complex, Zane Lowe in GQ and Highsnobiety, and played last summers Falls and Listen Out festivals, and supported the line of Smokepurpp, YG and Lil Xan. "This is another searing track from one of the fiercest groups in the game right now." "It’s a sad-boy banger which shows the group delving into the darkness, and paints them in a new light." Cautious Clay today shares his considered and soulful new EP Table of Context. Listen to it now on Spotify, Apple Music, iTunes, Google Play and more. The EP goes between soft breaks to smooth and cinematic chord progressions that are hard to pin down to a singular style or genre. While Cautious has become known for his insightful lyrics and creatively catchy melodies, the work on this project goes above and beyond in terms of production intricacies, with spacious soundscapes and deceptively deep instrumentation. When Cautious puts on his producer hat, he crafts delicate sounds with surgical precision. The six songs on Table of Context show an expansiveness in this ever-evolving new artist. Recent singles 'Honest Enough' and 'Reasons' off the EP have already accumulated praise from the likes of Pitchfork, The New Yorker, Hypebeast, Pigeons & Planes, Billboard and more, and with backing from notable artists like John Mayer, Ryan Tedder, and Diplo, Cautious is working his way toward attaining similar stature. After just one year of playing his first live shows, Cautious Clay has just returned from a successful SXSW playing 13 shows including prestigious slots at NPR, KCRW, Radio Day stage, the Rachel Ray showcase and an impromptu performance with Miguel. Rolling Stone named him one of '30 Best Artists We Saw at SXSW', NPR called his performance at the Tiny Desk Family Hour a "wow" moment, and PASTE recorded this stunning acoustic performance of some of Cautious' favourites. This comes off the back of his recently wrapped sold-out winter tour and first late night appearance on Busy Philipp's Busy Tonight. In 2018 Cautious Clay rose to new heights with a feature on HBO's Insecure Season 3 Soundtrack, a Tiny Desk on NPR and performances at TIDAL X BROOKLYN and The Soul Train Awards on BET and critical acclaim from VIBE, The New York Times, Pitchfork and more. NPR called Cautious Clay's Blood Type EP one of '2018's Best' and DJ Booth featured Blood Type as one of their 10 Best Non-Rap Albums of the Year. Cautious' title track 'Cold War' was number 29 on Sirius XMU's top 40 tracks of 2018. Table of Context further emphasises the musical landscape Cautious has been building with special features, new sonic directions and a whole lot of introspection. Spotify, Apple Music, iTunes, Google Play and more. "There's something special about him, and he keeps revealing new layers to his creativity that continue to pull us in." "Cautious Clay has the kind of voice that seems to emote and connect without effort; it burrows warmly into acoustic guitar melodies and floats atop more maximalist backdrops." "Cautious Clay is a name you'll want to keep on your radar." The independent Califorina-born and based artist and producer Kelsey Bulkin today shares her debut EP offering, Leucadia. Leucadia is a small neighborhood outside of San Diego, a beachside mecca where surfers, yogis, crystal shops and California mythology collide. It’s the place where singer, songwriter and producer Kelsey Bulkin grew up, and the title of her debut EP as a solo artist — a release that marks the start of a new chapter for a respected name in music. You can hear the landscape of Leucadia all over the EP’s five tracks — gusts of air and buzzing chords capture the feeling of sunlight sparkling over the bluffs, while her beats move from wavy r&b to miami bass. Bulkin stays true to her folk roots keeping the melodies relaxed and poetic, like Joni Mitchell covering a Janet Jackson song, or maybe vice versa. Bulkin returned to Leucadia with photographer Will Warasila to shoot scenes from the neighbourhood for the EP cover art. Leucadia follows the release of EP tracks 'Samsara' and 'Kareem', as well as two previous standalone singles Andromeda’ and 'West Coast Drama’. Previous to this, Kelsey Bulkin was also featured on the track ‘Divide’ from ODESZA’s groundbreaking record A Moment Apart in 2017, collaborated with Canadian producer Jacques Greene on ‘Nordschlief’ and ‘Fever Focus’, and has songwriting credits for artists Rejie Snow, PARTYNEXTDOOR and more. Apple Music, iTunes, Spotify, Soundcloud, YouTube, Bandcamp and more. "Bulkin’s music is synthy, surfy, and immersively ambient: A meditative exploration of sound, space, and emotion." 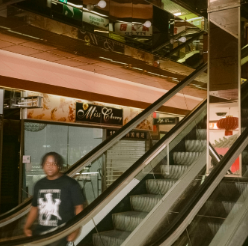 Sydney’s indie-rap group TRIPLE ONE today share their new single and video for ‘Butter’. Their most personal song to date, ‘Butter’ centres itself on the battle against poor mental health, and acts as a running commentary on the headspace of each of the members of Triple One at the time it was being made. Watch/listen HERE. Band member Marty Bugatti shares, "My verses are about my struggle with addiction and anxiety, especially coping by hiding how you feel and not really knowing how to talk about it”. Obi Ill Terrorscontinues, “there wasn’t a subject in school that could help you deal with the real world." The contemplative verses are accompanied by an aching hook by the singer Lil Dijon, who injects an overcast melody throughout. Placed against playful, upbeat production from in-house producer Billy Gunns, ‘Butter’ is a bittersweet affair with a nostalgic aftertaste. And despite the song’s weighty subject matter, the band wants the message of the song to be clear; you’re not alone. “I want the audience to feel like it’s okay if you don’t find peace inside your mind”, continues Marty, “it’s more about learning to embrace the chaos of life." 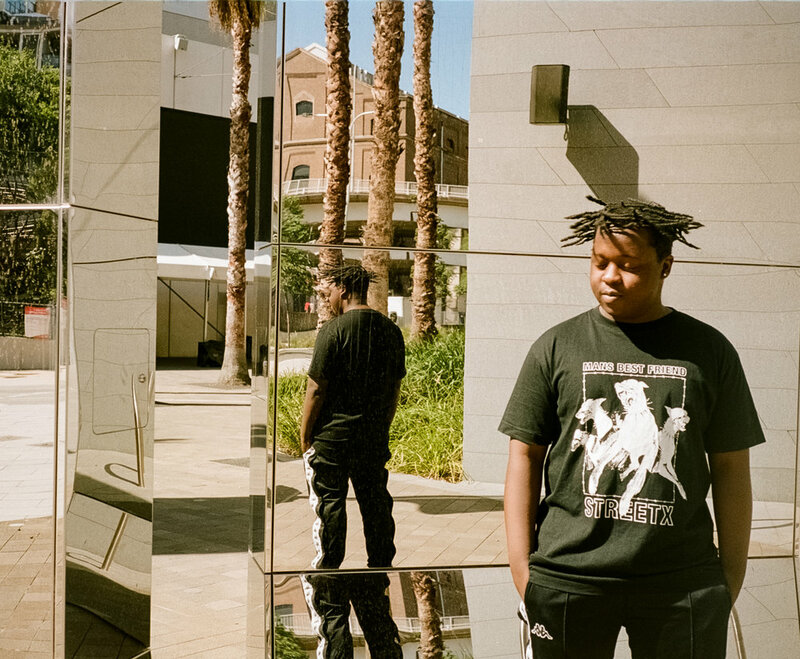 As Australian hip-hop edges closer to becoming a serious global force, Triple One stand firmly at the forefront of the movement. With one foot planted in Sydney's gritty rap underground, and the other in the Inner-West indie scene; Triple One are an amalgamation of sounds, beers and all-nighters, impossible to categorise and even harder to ignore. Brash bars come courtesy of rappers Marty Bugatti and Obi Ill Terrors, melodic hooks by Lil Dijon float in paranormal fashion, while intricate production is expertly crafted by Billy Gunns. A sonic experiment between hard, soft and all the textures in between; Triple One are rooted in hip-hop but explore metal, pop, punk and R&B, a testament to their versatile skill set and fierce repudiation of genre barriers. Triple One's early singles 'Doozy' and 'Overflow' clocked well over 1 million YouTube views each, earning applause from a swelling army of fans in North America and Eastern Europe that has crafted them a larger international fanbase than in their own home country. Having accumulated serious underground buzz for years, 2018 was the year that Triple One broke into Australian mainstream consciousness: Their singles 'Showoff', 'Tarlo' and 'Valentine Kid' were added to high rotation on triple j, they were named the triple j Unearthed 'Artist of the Week', [V] Music's 'Uncovered Artist of the Week', Apple Music's 'New Artist of the Week' and earned a spot on YouTube Music's first ever 'Artists To Watch' list. Triple One was also profiled by Complex, GQ and Highsnobiety, while Apple Music/Beats1 tastemaker Zane Lowe praised their "Brockhampton-style energy in the sense of free will and creativity." But onstage is where Triple One truly state their case. Having earned a notorious live reputation through relentless gigging in Sydney, their shows are a vortex of flailing limbs, spilled drinks and sweat-drenched circle pits. 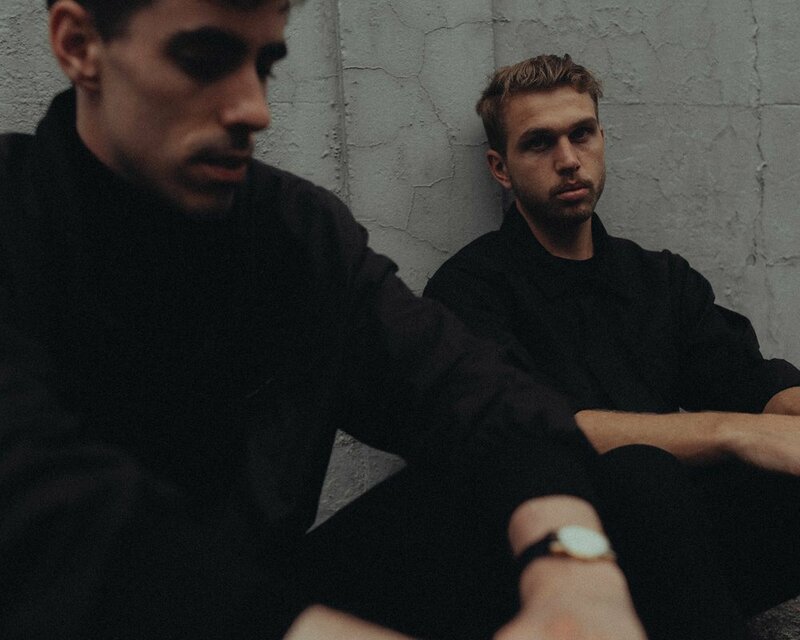 From head-banging anthems to tender ballads, Triple One's sprawling performances have led to sold out headline shows around the country, support slots for YG, Smokepurpp and Lil Xan, as well as landmark festivals like Falls Festival, Listen Out and BIGSOUND. 2019 will see the group debut their headline show internationally at The Great Escape (UK), with more dates to be announced soon. Body Type today share their new single and video for ‘Stingray’. The track was premiered via Ladygunn overnight and is taken off their forthcoming release EP2 out May 3 via Partisan Records / Inertia Music.Watch 'Stingray' HERE. The track’s accompanying video directed by long-time friend and collaborator Nicholas Griffith, pays tribute to the news of Freckle, a stingray at Sydney Aquarium who had given birth despite having had no male contact for 9 years. 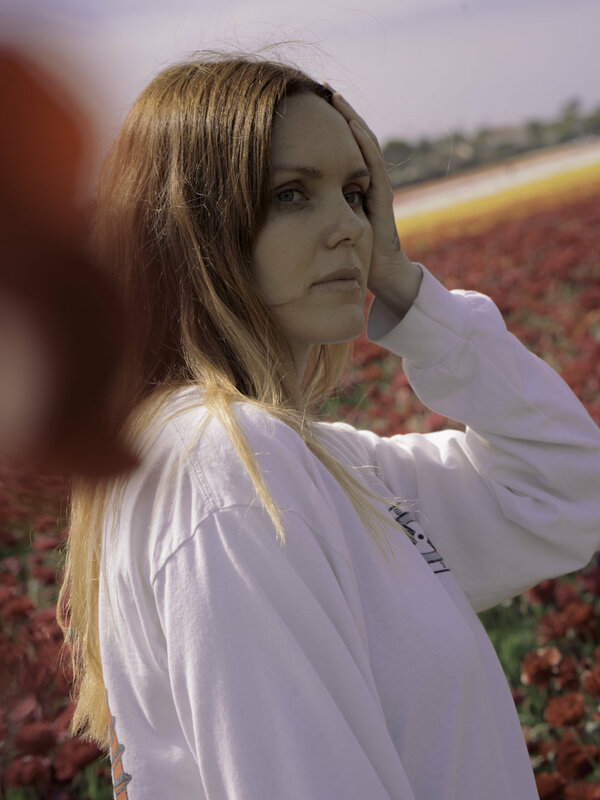 McComish continues, “I saw parallels between her story and the theme of the song itself - Freckle is an inspiration for everyone in dead end relationships - so Nick and I decided she should be the star of this video.” Griffith adds, "It was great to be able to work on a location that gave so many different opportunities to capture unique shots. Every room had its own characteristic from glowing sci fi jellyfish tubes to warped and watery walls." ‘Stingray’ is the first track lifted from the bands forthcoming release EP2 and follows the bands debut self-titled EP in 2018 out via Partisan Records/Inertia Music, Consisting of radio favourites ‘Ludlow (Do You Believe In Karma? )’, ‘Arrow’, ‘Palms’ and 'Teeth', the release received critical acclaim from the likes of the FADER, DIY Mag, NME, KEXP, Beats 1's Matt Wilkinson, BBC Radio 1's Jack Saunders, triple j's Declan Byrne and more. The news of the new single and EP release also come ahead of the bands debut US tour starting this weekend. Alongside their debut headline shows in New York and Los Angeles this month, Body Type will play SXSW (Austin), Live At Leeds Festival (Leeds), Hit The North Festival (Newcastle), The Great Escape in Brighton and a run of headline dates across the United Kingdom before playing London Calling in Amsterdam this May. See full dates and details below. 'Stingray' is out now via Partisan Records / Inertia Music, buy/steam it here. Introducing fast-rising talent Omar Apollo with his new single ‘Ashamed’, listen HERE. The track featured on Zane Lowe’s ‘World Record’ on Beats 1 overnight and runs alongside his recent Pitchfork Rising interview. A 21-year-old first-generation Mexican-American singer from Indiana, the diversity of Omar's influences across jazz, R&B, funk, alternative, soul and pop music set his music apart. He spent most of his junior and senior year at high school working at his local McDonald’s and deep diving on SoundCloud. It was during these years that Omar saved enough money for a laptop to make music and discovered artists like The Internet, Daniel Caesar and Smino. That, together with the influences of artists such as Pedro Infante, Vicente Fernández and Estela Núñez shared by his mother and father, helped craft his own unique sound and upload his first track online. Though his parents immigrated to the US to give him the opportunity to go to college, Omar knew he was meant to make music and his debut EP solidified that belief. Consisting of songs in both English and Spanish, Stereo received critical acclaim from the likes of the FADER, Pigeons & Planes, Complex and more. Omar Apollo is set to take to the stage on a run of headline shows across the US and Europe next month, playing 32 dates across the US with support from ROLE Model and Ambar Lucid, including a showcase at SXSW. Check out full tour dates here. Stay tuned for more from Omar Apollo coming soon. ‘Ashamed’ is out now, buy/stream it here. Sydney duo breathe. today share their second ever single, 'London' which premiered on Complex andtriple j's 'Home & Hosed with Declan Byrne' overnight, listen and watch HERE. The track was recorded by the band in the UK and in their home in Australia, and is about getting outside to find space. It also comes with its own accompanying music video directed and edited by the band and features young Sydney skater Vanessa Miles cruising through the sleeping streets late at night. breathe. shared their debut offering 'Are You All Good?' in late September of 2018. The track peaked at #1 on Hype Machine with features across XLR8, Hillydilly, triple j, Indie Shuffle and more, saw playlist additions across FBi Radio and triple j Unearthed and has clocked more than 2 million online streamsin its first four months. breathe. is made up of two friends who love making music, taking photographs, shooting film. ‘London’ is out now, buy/stream it on Spotify, Apple Music and iTunes. Brighton-based band FUR are thrilled to share their self-titled debut EP out today via London's Nice Swan Records (Sports Team, Pip Blom). The EP includes the bands first single from the record 'Angel Eyes', the most recent track 'Him and Her', and an additional three including, 'All My Dreams', 'Where Did All The People Go?' and 'Love Song For No One'. Along with the tracks, the band also released their own video for their current single 'Him and Her', with its playful colours reminiscent of the classic era Blue Note covers which you can watch back here. It was only 12 months ago that the band had shared their debut offerings 'Trying', 'Not Enough' and 'If You Know That I’m Lonely’, which saw them crack over 8 million online streams, receive early support from BBC 6 Music’s Steve Lamacq and support the likes of The Brian Jonestown Massacre and Miles Kane, as well as their own debut headline dates across the country. The FUR EP is out now on Nice Swan Records, buy/stream it via iTunes, Apple Music, Spotify and more. FUR EP is out today via Nice Swan Records, buy the 12" vinyl now. Kelsey Bulkin is thrilled to share her new single ‘Kareem’, listen HERE. Of the track, Bulkin shares, “Its about who is going to make the first move and or say what's on their mind. I've always been very direct about how I feel which makes people love me or avoid me. It's something I've tried to change but there's no use. So I'm going to make it a super power." 'Kareem' follows the release of first EP track ‘Samsara’ and is taken off her forthcoming independently released debut EP Leucadia out this March 22. 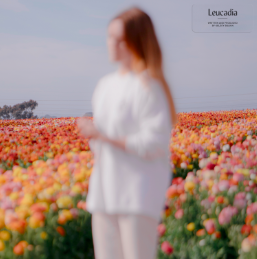 Leucadia is Kelsey Bulkin’s story. A small neighbourhood outside of San Diego, the beachside mecca is where surfers, yogis, crystal shops and California mythology collide. It’s the place where singer, songwriter and producer Kelsey Bulkin grew up, and the title of her debut EP as a solo artist - a release that marks the start of a new chapter for a respected name in music. Before Leucadia came her time as one half of former indie pop duo Made In Heights and the break out into her solo career with standalone singles Andromeda’ and 'West Coast Drama’. Kelsey Bulkin was also featured on the track ‘Divide’ from ODESZA’s groundbreaking record A Moment Apart in 2017, collaborated with Canadian producer Jacques Greene on ‘Nordschlief’ and ‘Fever Focus’, and has songwriting credits for artists Rejie Snow, PARTYNEXTDOOR and more. The Leucadia EP is out independently on March 22. Sydney band BODY TYPE are thrilled to share their new video for ‘Dry Grass’, directed by band members Annabel Blackman and Georgia Wilkinson-Derums as the pair’s directorial debut. Originally inspired by the greenskeeper and his roller machine at the Marrickville Bowling Club, the video follows the band through a typical day on the greens. Watch it HERE. In 2018, the band went from strength to strength as they released their debut self-titled EP out via Partisan Records/Inertia Music, including breakout singles ‘Ludlow (Do You Believe In Karma? )’, ‘Arrow’, ‘Palms’ and 'Teeth'. Body Type also played their debut run of sold out headline dates, supported the likes of POND,Alex Cameron and Rolling Blackouts Coastal Fever and hit festivals around the country such asFairgrounds, Gizzfest, Festival Of The Sun and more. Praise for the band came from fans and critics alike, from FBi Radio’s SMAC Awards wins for 'Next Big Thing' and 'Best Live Act', to rousing support from notable outlets The FADER, DIY Mag, NME, KEXP, Beats 1's Matt Wilkinson, BBC Radio 1's Jack Stephens, triple j's Declan Byrne and more. 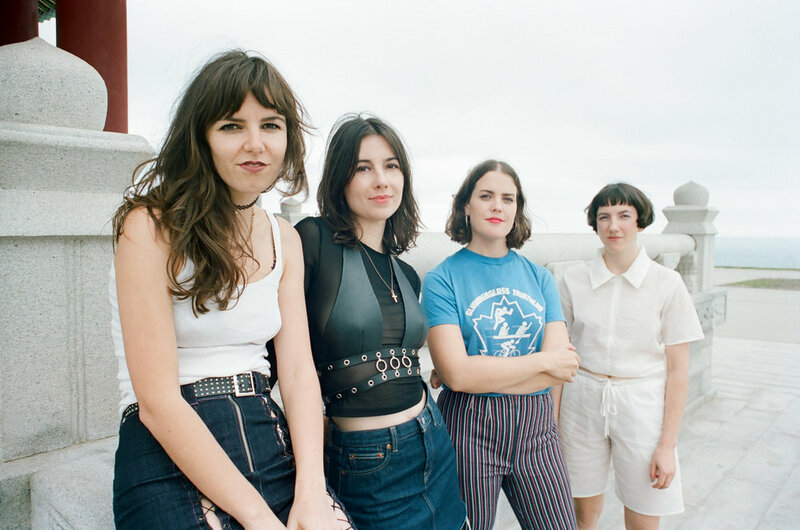 2019 will see Body Type make their biggest moves yet, debuting their live show overseas at a run of headline dates and festivals including The Great Escape, SXSW Festival, London Calling and more. See full dates and details below.